Damn. Sorry to hear that. Like Ben's Cat, he was truly a local hero and sure had many followers over the years - including me. really loved him and took care of him. Gut wrenching. I loved watching him. Being at the track when he ran was amazing. I remember his retirement celebration like it was yesterday. Russell Road was my favorite racehorse. He had so much heart. This is a real punch to the gut. Private Zone was euthanised. good start, 2018. really goin' for the 'worst year ever' award, aren't we. This really bums me out! Watched him run in California and win a stakes on the Derby undercard in 2015, got very fond of him. Rest in Peace, Private Zone. Like the losses of Ben's Cat and Russell Road, PZ's death isn't just sad. It's terribly unfair. These guys gave their all for years on the track, were given a well-earned retirement...and then passed away before they had much of a chance to really enjoy some golden years as just pasture pets. RIP, handsome boy. Condolences to his connections and all who loved him. He was such a beautiful horse with all of that chrome. Thoroughbred Retirement Foundation's Phantom on Tour, who starred as a living exhibit at the Kentucky Derby Museum for eight years, was euthanized Jan. 29 at the age of 24. He suffered from complications caused by equine protozoal myeloencephalitis (EPM), a neurological disease he was first diagnosed with in 2006. "Phantom was always liked by every inmate that came into the Second Chances program; everyone always wanted to see the horse that had run in the Kentucky Derby," said Linda Dyer, farm manager at TRF's facility at Blackburn Correctional Complex. "I would show them his race with everybody commenting on what a good racehorse he was. It helped show them what these retired racehorses are capable of as athletes. We kept him down at the barn in his own paddock and stall, so he led a very spoiled life. He loved to be groomed every day. His favorite thing to do was to rub his head on you. The inmates would sneak him so many mints I had to warn them about giving him too many," she said. 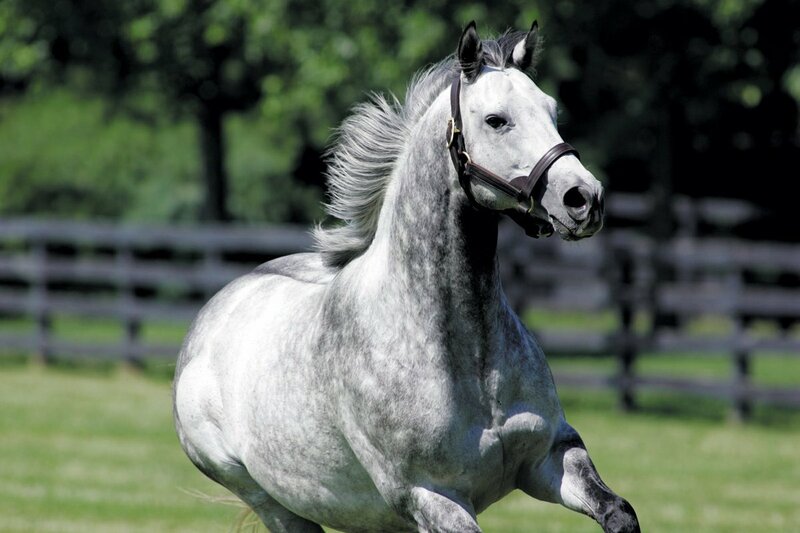 Phantom on Tour finished sixth to Silver Charm in the 1997 Kentucky Derby (G1), and he earned $724,065 in a career that included victories in the Rebel Stakes (G3) and the New Orleans Handicap (G3). Sent to stud in 1998, the son of Tour d'Or proved to be infertile, he was then gelded and returned to racing. 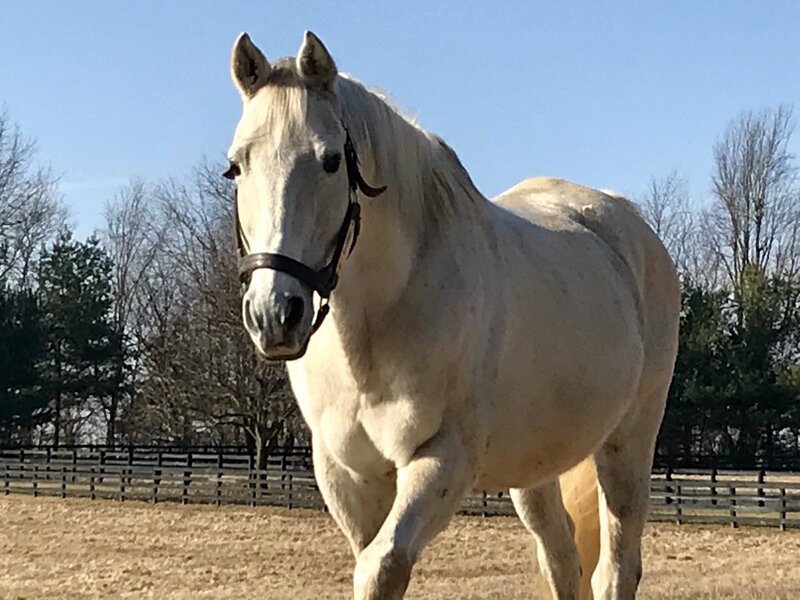 After three starts, a group of fans purchased him in 2001, and he was retired to TRF's Second Chances farm at Blackburn Correctional Facility near Lexington. In March 2002 Phantom on Tour, on loan from the TRF, arrived at the Kentucky Derby Museum where he spent the next eight years. During his time at the museum, he served as the sport's ambassador to thousands of fans. "Phantom was super personable and super cool," said Alison Knight, equine manager at the Kentucky Derby Museum. "I used to walk him down the sidewalk and right up to the Kentucky Derby Museum's front doors. He was a great ambassador for retired Thoroughbreds. Our guests loved getting to see him up close and to interact with such a great horse. He was one of my favorite resident Thoroughbreds here at the Museum." Phantom on Tour retired from the Derby Museum in October 2010 and returned to TRF's Blackburn farm, where he helped teach inmates equine care as part of TRF's Second Chances vocational program. Innkeeper, who was the final son of Secretariat standing in the United States, was euthanized on Feb. 2 following complications from colic. The 30-year-old stallion last stood as a sporthorse sire at Virginia Tech’s Middleburg Agricultural Research and Extension (MARE) Center in Middleburg, Va.
Secretariat, record-shattering winner of the 1973 Triple Crown, entered stud in 1974 at Claiborne Farm in Paris, Ky., and stood 16 seasons before being euthanized due to laminitis on Oct. 4, 1989. His final foals arrived in 1990. None of Secretariat’s runners replicated their sire’s feats on the racetrack, although they had a fair amount of success; the group was led by Horse of the Year Lady’s Secret, dual classic winner and champion Risen Star, and Canadian champion Medaille d’Or. Secretariat made his biggest impact through his daughters, appearing among America’s leading broodmare sires four times, including in 1992 when he led the nation. Stallions produced by his daughters included breed-shaping sires A.P. Indy and Storm Cat. Secretariat’s final two active sons at stud were Innkeeper, whose story took several twists and turns before he arrived at the MARE Center; and Careless Secretary, who last stood at Sweetwater Stud in Bulgaria, dying in 2016. 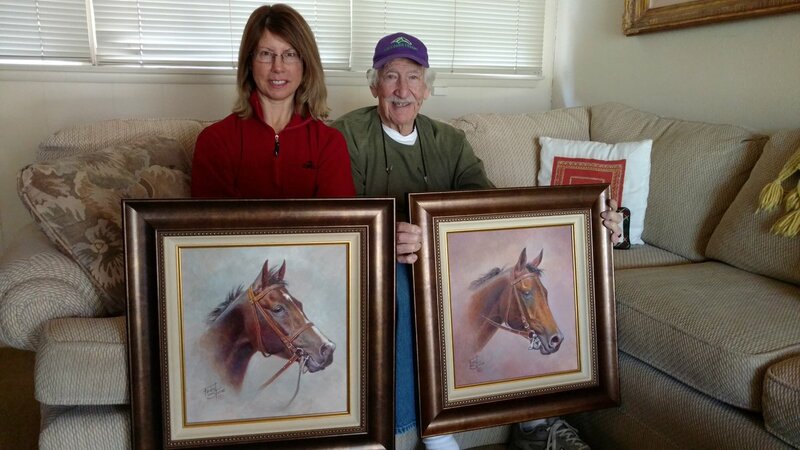 So sad to hear that equine artist Fred Stone passed this evening. I adored Fred & enjoyed our conversations. 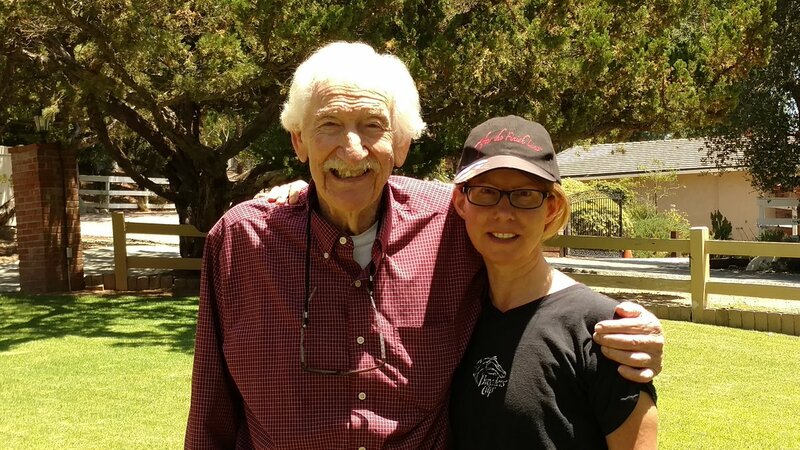 Visiting him at his home was such a treat. He supported our non-profit w/ his art and was the guest speaker at one of our Gala's. Fred was a talented artist & a kind man. RIP, Mr. Stone. The world has lost a great artist and a kind heart. Aljabr, Europe’s champion 2-year-old male of 1998, died Tuesday of a heart attack at Shadwell Farm in Lexington, Ky. He was 22. The son of Storm Cat had resided at Shadwell Farm as a pensioner since 2013, and he will be buried at the farm. Bred in Kentucky by Shadwell, out of the French Group 1-winning Baillamong mare Sierra Madre, Aljabr raced for Sheikh Mohammed Al-Maktoum’s Godolphin operation and trainer Saeed bin Suroor. 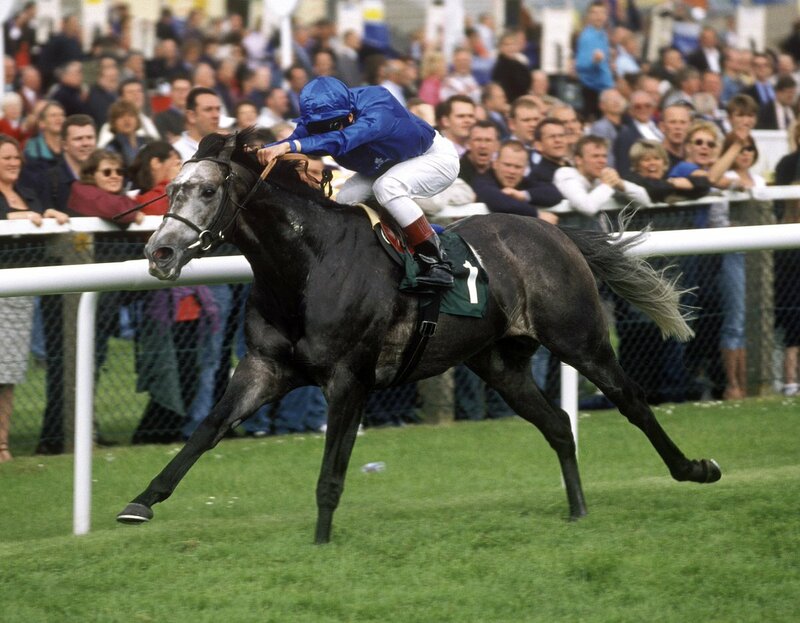 Aljabr was undefeated in three starts as a juvenile, winning on debut in England by four lengths, then taking the Group 3 Vintage Stakes at Goodwood. He finished the season with a half-length score in the French Group 1 Prix de la Salamandre to clinch Europe’s champion 2-year-old colt honors. He returned to England to begin his 3-year-old season, starting with a second in the Group 1 St. James’s Palace Stakes, followed by a win in the Group 1 Sussex Stakes, before traveling again for a fourth-place effort in the French Group 1 Prix du Moulin de Longchamp. 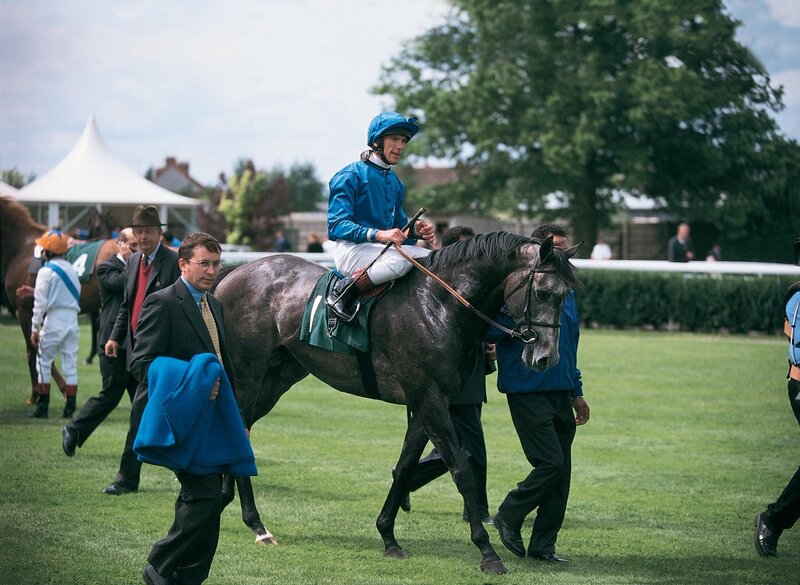 At four, Aljabr won the English Group 1 Lockinge Stakes. TVG just passed along the sad news that Jeter has died. I think they said he had signs of colic and reared over. Missed the rest of the sentence, but perhaps he injured himself fatally? Last edited by BaroqueAgain1 on Thu Feb 08, 2018 4:29 pm, edited 1 time in total.